HOUSTON, TEXAS (KTRK) -- Members of the public gathered Tuesday in the boardroom of the Metropolitan Transit Authority of Harris County in downtown Houston to provide their opinions and ideas on the state of Houston's transportation system and what could be done to improve it. As METRO begins work on a plan to expand the Greater Houston area's transportation system, METRO's board of directors has scheduled town hall-style forums for the coming months in hopes of finding out details of people's transportation needs and what people want in a transit system. "We're not starting with a plan," METRO chairperson Carrin Patman said. "We're asking for a plan from the public. We want guidance on how to proceed." METRO released a schedule of other townhalls that will be conducted in the coming months. The majority will take place throughout the city but four will take place in the suburbs: Missouri City, Katy, Cypress, Klein and Humble. Since its last bond issue in 2003, Missouri City has often been mentioned as an ideal place for a train station linked by a commuter rail line to downtown Houston. Earlier this decade METRO called for proposals from the private sector to build such a rail line, but the project stalled as METRO officials focused on other projects. Jerome Gray, METRO vice president and senior press officer, said the five suburban locations were chosen in an effort to reach people in far-flung corners of the region, and their selection had nothing to do with potential targets for commuter rail extension. METRO officials intend to put together a plan in the coming months for a bond issue, which, if approved, would pay for an expansion of the system. At a February meeting, METRO officials announced their intent to put together a plan to expand transit beyond the city limits, with an eye on the suburbs. 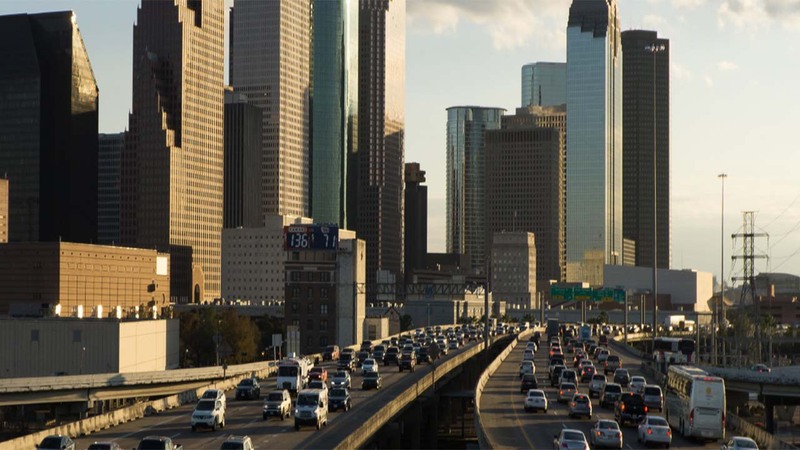 As aerial views of Houston freeways flashed on oversize monitors in the METRO board room on Tuesday afternoon, METRO officials took questions from the public and discussed the region's transportation needs. "We must build something that people want to use," said Board Member Sanjay Ramabhadran. "We need new ideas, and we need to find what works for different folks." In the middle of the room a lockbox the size of a milk crate resting on a table where half a dozen notepads and pens surrounded it. People sat at folding chairs jotting down suggestions that they deposited into a slot in the top of the box. Houston resident Avi Levy, who showed up to see what changes might be in store for the city's transit system, said he'd like to see commuter rail expanded. "I'd like to see connections to more areas," he said.